Group D Ghana – Botswana – Mali - Guinea Ghana It wouldn’t be an exaggeration to say this current Ghana team has the ingredients to, potentially, become the best African team ever. In 2009 they won the U-20 World Cup and a group of players from that team have been successfully integrated into full international level, being used both at the last Cup of Nations and the World Cup. In both those major tournaments, The Black Stars didn’t shame themselves – finishing as the runners up in the former and quarter-finalists in the latter, narrowly failing to become the first African side to reach the semi-finals. They are very much a young side but it’d be foolish to say they’re inexperienced considering the well-planned integration and the football rigours they have been through. The majority are experienced, young players. Defensively, Ghana are arguably the best unit at this year’s edition, although the omission of the loveable Richard Kingson and three very inexperienced keepers could be a problem. A midfield unit of Kwadwo Asamoah (Udinese), Sully Muntari (Internazionale), Emmanuel Agyemang-Badu (Udinese) and Anthony Annan (Vitesse Arnhem loan) will be difficult to outplay. Offensively, there are problems - an overreliance on Asamoah Gyan (Al Ain loan), who has fitness worries, for goals and lack of creativity through the middle, this Ghana side doesn't beat teams as comfortable as they should. In Andre Ayew (Marseilles) they have the current African Footballer of the Year, full of bite and trickery but his best work is done through the flanks, rather than in central areas. In the last year it had finally looked like they had solved the problem of creativity in the form of Kevin Prince-Boateng but he’s gone into early retirement from international football, citing injury problems. Even with those problems they should have reach the latter stages of the tournament, can they go one better and win it this time? Prediction: Anything less than a final would be a failure from a Ghanain point of view. They will not have a better chance to satisfy their thirst for Cup of Nations silverware. Finalists. Ranked 95th in the FIFA rankings, The Zebras from the diamond-rich southern Africa country were the first team to qualify for this edition of the Cup of Nations. 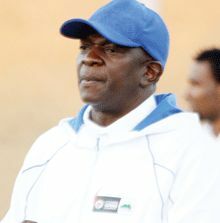 Botswana’s preparations for the Cup of Nations have been disrupted by a pay dispute on bonuses during the finals. Following a plea by their President, they’ve postponed the dispute and are ready to play football. On the pitch, their results have been staggering as humble, unassuming coach Stanley Tshosane has guided them to their first Cup of Nations appearance. The 56-year-old has motivated the minnows, replacing lack of confidence with a remarkable sense of self-belief that is essential for teams who make it to the finals without the well-known faces of Africa. Botswana’s highlights of qualification were a 1-0 double over Tunisia. When The Zebras beat Tunisia away in the opening game of qualification, people thought it was an accident, a one-hit wonder that wouldn’t have happened again if they played 99 times. Yet they proved that theory wrong by recording another 1-0 victory against Tunisia at home. Impressively, Botswana only lost 1 game – on the final matchday away to Togo but it mattered for little. It wasn’t for that, they would have gone unbeaten after playing 8 games – more games than any group. Twenty-two of the squad ply their trade locally or in South Africa. The only one who doesn’t also did – commentator’s nightmare Jerome Ramatlhakwane (Unattached), who is the player to watch out for. Out of the 7 goals Botswana scored during qualification, Ramatlhakane scored 5 of them. Fittingly, he scored the winner against Chad, which ensured their path into the finals, and all his other goals were match-deciders. Characterised by gritty defending, in 8 games during qualification, Botswana did only concede 3 goals but their lack of goals will be a problem at this level. Prediction: The opening fixture against Ghana could be a confidence crusher. The odds are stacked against The Zebras but Mali are hardly world-beaters and they could give Guinea a good game. I don’t see them progressing into the quarter-finals, though. If the Cup of Nations winner was decided by the quality of defensive midfielders on paper then Mali would have comfortably won the last few editions, with fearsome names such as Seydou Keita, Mohamed Sissoko and Mahamadou Diarra able to play in that position. Mali have never won the Cup of Nations, they were runners up in 1968 and in 1994, 2002 and 2004 they reached as far as the semi-finals. Their last two Cup of Nations performances have been disappointing however, as despite possessing some of the biggest household names in Africa they’ve lacked cohesiveness as a team, failing to make it out of the group stages. Ranked 67th in the FIFA rankings, qualification was far from convincing as they failed to register a victory in any of their away games – losing against Carpe Verde and Zimbabwe and drawing against Liberia. They qualified as group winners nonetheless, just pipping Carpe Verde by virtue of head-to-head results. Sacked by Gabon in 2010 despite leading them to 30th in the FIFA rankings, coach Alain Giresse’s Gabon tenure was characterised by pace and directness, attacks down the flanks, and, crucially, play with no hint of fear and he has instilled those attributes into the current Mali team. The Eagles boast a solid squad of players, 14 of whom play their club football in France. The likes of Sissoko and Diarra have been sacrificed for younger legs, notably Sidy Kone (Lyon) who has been dubbed ‘The next Mahamadou Diarra’. Those losses have arguably come at a cost as the defence doesn’t have the necessary protection when under pressure – out of the teams that qualified for the finals only Niger conceded more goals. The standout figure remains Keita (Barcelona) and the likes of the imposing Cheick Diabate (Bordeaux) – 4 goals during qualifying – and Modibo Maiga (Sochaux) are worth keeping an eye on. Prediction: Tactical-discipline is to be expected from a team managed by Alain Giresse but questions still exist with regards to Mali’s creativity – a long term problem. A win against Guinea could be a confidence booster but Mali are quarter-finalists at best as their defence can’t deal with pressure. After reaching the quarter-finals of the Cup of Nations three times on the trot in 2004, 2006 and 2008, Guinea failed to qualify for the last edition – with only one win from six matches during qualification, a failure that also saw them miss out on the 2010 World Cup. Syli National are back with a vengeance for this year’s edition, qualifying as unbeaten group winners above much-fancied Nigeria, Ethiopia and Madagascar. The return of former coach Michel Dussuyer has been credited for the turnaround, with the Frenchman’s knowledge seen as essential in their return to the continental stage. Dussuyer was in charge of Guinea back in 2004 when they began their run of consistency in the Cup of Nations, and he has shown faith in an exciting young generation, sprinkling them with experience from the past and ditching mainstays such as Fode Mansare for this year’s edition. Guinea can be exceptional, on their day, but can be unpredictable, mirroring the image of their former captain, Pascal Feindouno, who is in the squad and will be looking to be making an impact from the bench (and put himself in the shop window as he is unattached). The ex-Sion man enchants and enrages in equal measure, sometimes being pivotal in the execution of the team’s fluid moves, while sometimes you can’t be blamed for questioning whether he has passed away in the tunnel before a game. He doesn’t play as instrumental a role as he used to but provides the experience along with Bobo Balde (Arles, formerly of Celtic), Ibrahima Yattara (Al Shabbab) and Ismael Bangoura (Al Nasr). 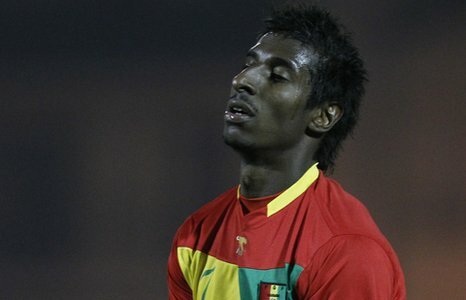 The decision by Kevin Constant (Genoa) to pull out of the squad for personal reasons is a blow as he embodied the hunger and ambition of the younger generation, but the likes of Ibrahima Traore (VfB Stuggart) and Ibrahima Conte (Gent) are also young players who have played a key role during qualification. Prediction: The match against Mali will be crucial, but, considering they have a leaky defence. quarter-finals are the best Guinea can hope for. There is a fine balance of youth and experience in the squad and players with a point to prove. The Group A preview is here. Group B here. Group C here. You have done a great job of reshaping my standpoint right on this write-up. challenges is going to become solved.